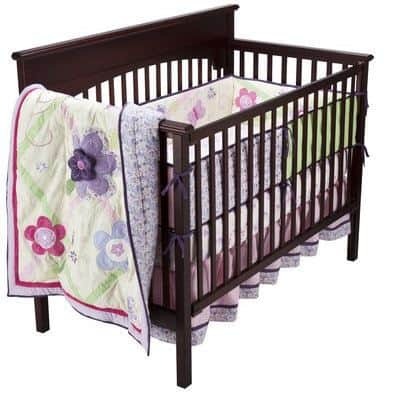 Sumersault Lily 4 Piece Crib Set 50% Off + FREE Shipping! Right now at Target you can purchase the Sumersault Lily 4 Piece Crib Set for only $94.98 (regularly $189.99) and receive FREE Shipping! To make this deal even better use your Target Red Card and save an additional 5%! I love this super sweet girly set with textured flowers and bright colors! There are plenty of different soft fabrics in this set too which baby will love to feel on her fingers.